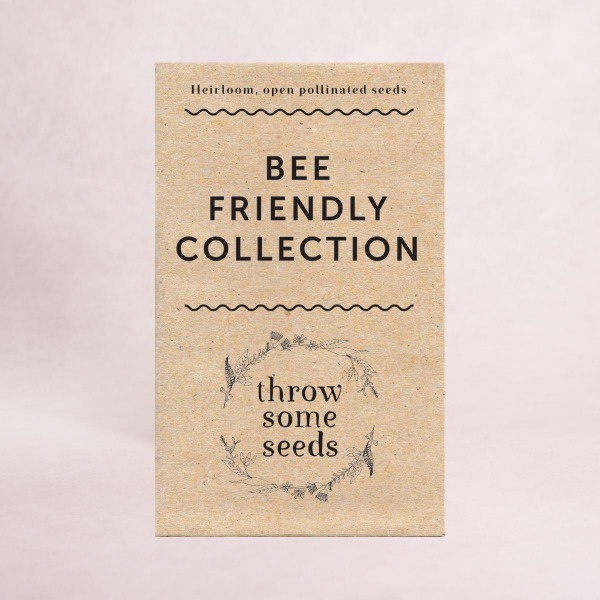 As you may have gathered already, our business Throw Some Seeds is very much inspired by nature. We love the simple things in life and the natural beauty that can be found almost anywhere you look. We love keeping chooks and bees, and digging and growing in our own patch. Making the change to live amongst the beauty of the Dandenong Ranges in Melbourne was life-changing. We are extremely passionate about supporting small, Australian artists and makers. Finding unique, locally made and environmentally conscious products is what we do. Then we bring them together in a central space for everyone to delight in! When we say that we support local, we mean it. The vast majority of our suppliers are based in Melbourne. Where we can't find the best of the best here, we looked elsewhere in Australia. As close to home as possible. We also look for products that are made using recycled materials. This isn’t practical for all our products but if we have a choice, we’ll choose the goods that have been created in a more sustainable way. The bottom line is, we support suppliers who truly care, and who design products we can 100% put our brand behind. So if you’re looking for Australian made gardening gifts and supplies then you’ve come to the right place! This includes gorgeous handcrafted tools, locally made gloves, handmade plant pots and vases, heirloom seeds and gardening books. If you’re not big on gardening but love natural products and gorgeous nature-inspired gifts we also cater for you. You'll find artwork, reusable food wraps, organic soaps, natural skincare products, eco-friendly stationery, plus lots more! Ultimately, our hope is to brighten someone’s day and perhaps even inspire a connection with nature at the same time. We believe that's pretty important. Here you'll find everything from garden gloves, tools and accessories. If you're after hand-made locally sources pots and a stunning range of vases then click through and check out the range. Maybe heirloom seeds are your thing? Check out the extensive selection to choose from at Throw Some Seeds. Surround yourself with ethically produced products and takes steps to reduce, reuse and recycle your products. Check out the range of vegan reusable food wraps, beeswax candles & melts, natural soap bars, botanical skin care, ceramic mugs, heat packs as much more. Make a conscious decision to shop locally and ethically. SHOP Natural Living products CLICK HERE. One of my favourite categories to visit is the amazing nature-inspired artwork from local artists. Exquisite decor for a child's bedroom or that special person,. They capture the beauty of our local wildlife and would complement any room. I also love the metal birds and their subtle presence in the garden. SHOP Arts & Gifts. CLICK HERE.